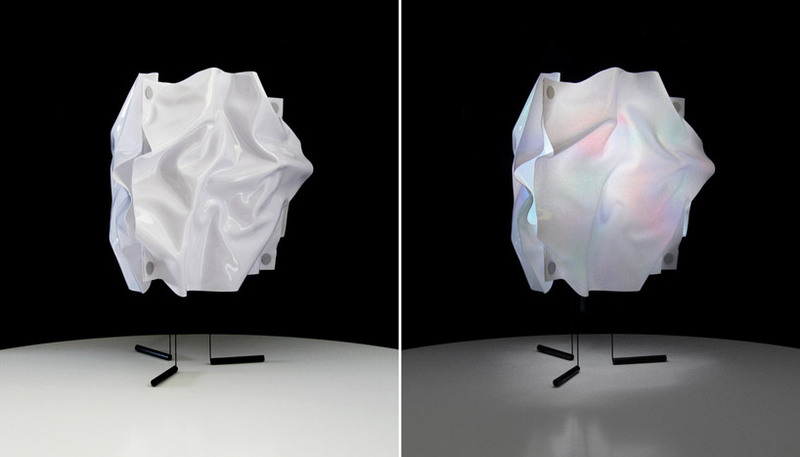 Japanese architect and designer Taeg Nishimoto’s “Blurred” series involves a set of three-sided, sculptural lamps with a changeable layered surface. 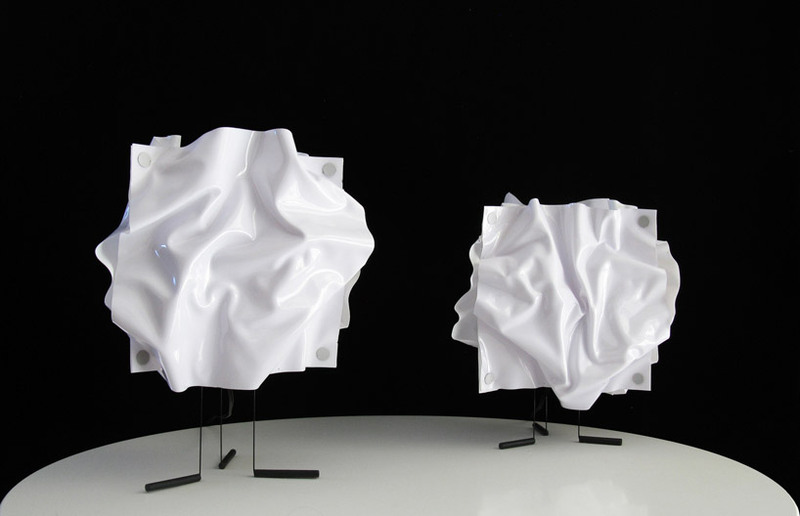 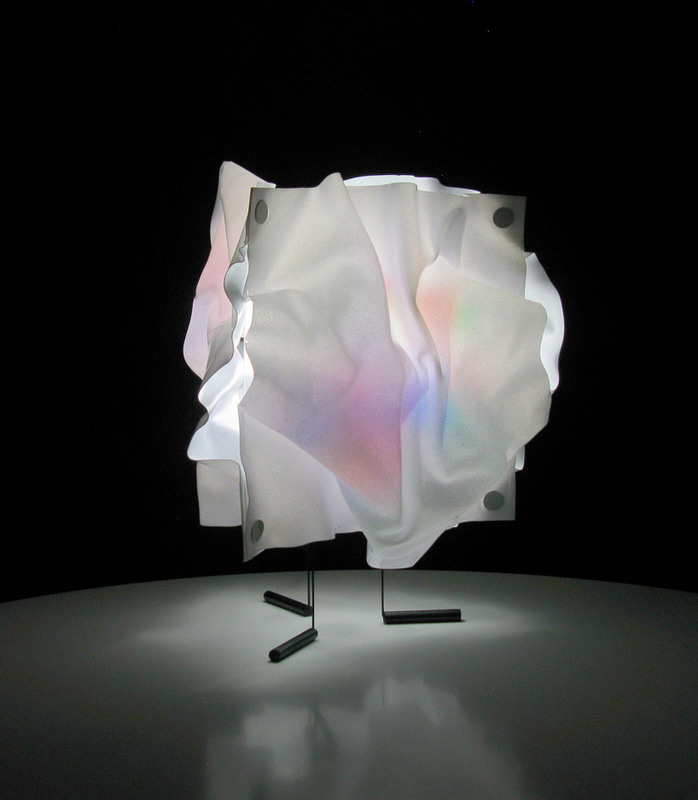 While appearing porcelain-like during the day, when the lamps are turned on iridescent light emerges from a combination of heat-responsive polyvinyl, heat-resistance polyester sheets and liquid rubber to create a parabolic surface which reacts to air flow from the outside. 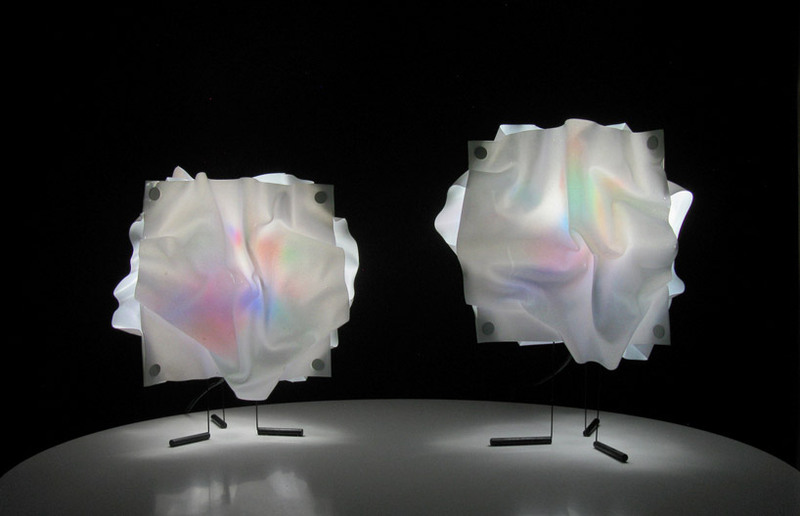 The concept is based on “cloud iridescence,” a naturally occurring phenomenon caused by small droplets of water or ice in the clouds that individually scatter, blurring the sunlight. 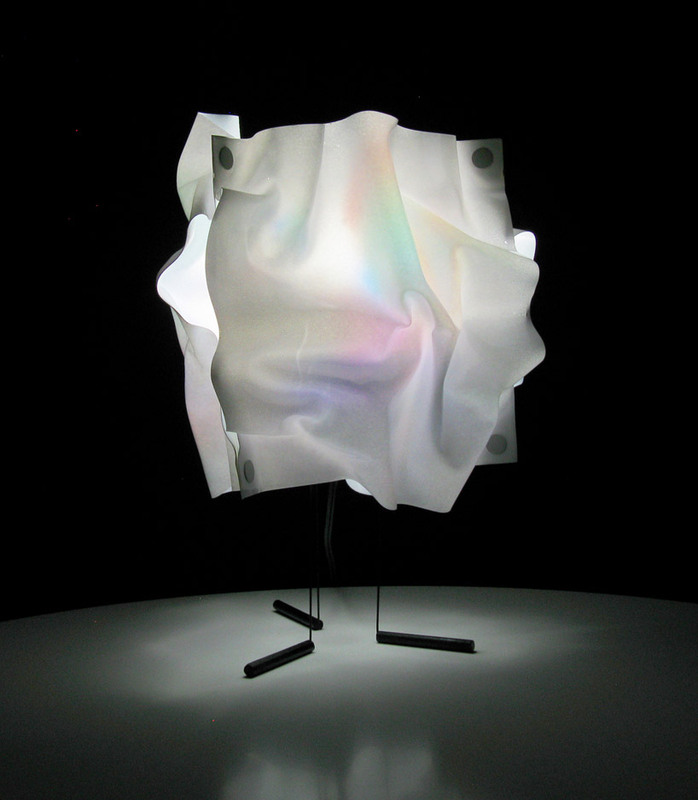 Click here for a more detailed description of how the lamps work and check out more images below.